Top Havana and Vedado Videos – Have Fun in Havana! Check out lots more videos of Havana and Cuba on our YouTube page! You have heard about Havana, and you are finally going to experience it for yourself. The fun, the romance, the old world charm of a city which is rich in history and culture,and packed with entertainment and attractions. As good as that sounds, you want even more. Cuba will never disappoint you, and in Havana, you can be sure to never get bored. 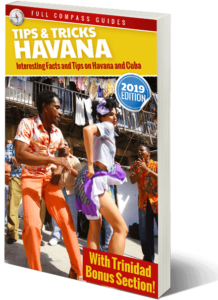 Check out these great Havana and Vedado videos in which I take you on a tour around the different neighborhoods of Havana, from Old Havana, to Central Havana and Vedado, showing you all the fun, and affordable attractions which are off the beaten path. 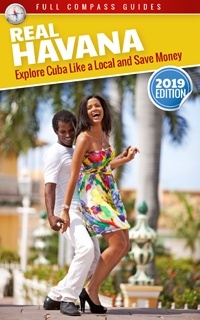 Most of these places are not featured in any other Havana or Cuba guidebook. These are offbeat locations, and despite being amazing places to visit in Havana, most are cheap or absolutely free. In the videos below, I show you how to use communal taxis (Taxis Particulares) in Havana, and how to take a taxi particular to the Havana beaches, located in the neighborhood of Guanabo, in eastern Havana (Habana del Este). I take you on a walking tour through Central Havana, showing you the marvelous fruit markets and flea markets. I taste sugar cane juice (Guarapo Frio) at a small state run stand and tell you all about this delicious treat. I show you how to get to some wonderful lookouts which are located in the Vedado neighborhood, which are absolutely free to go to, and provide gorgeous, panoramic views of the whole city. I show you the action and fun of the Havana Malecon at night, when young people fill the streets, pouring down 23rd street (La Rampa), joining their friends for an all night party in the street. I have dozens of great videos of Havana and Vedado and I share them all with you. Leave a comment if you know of more interesting places, and I will be sure to visit them on my next trip to Havana. World Famous Boxing Gym in Old Havana, Cuba. Party Night in Havana – G Street at the Corner of La Rampa! This is what 23 Street (La Rampa) is like at night, in Havana, Cuba. This is one of the busiest streets in Cuba, at any time of the day. At night, it's a vibrant, bustling street, filled with street-food vendors, thousands of attractive, young people and families. It's an active, festive atmosphere, particularly on weekends.